Meet the executive team at Miramar Hospitality, based in San Jose, California. We are a group of dedicated hospitality professionals with more than 100 years of combined experience; At Miramar, we love what we do and are passionate about working with owners, managers and investors to meet their goals. Hospitality is part of our spirit and it shows through our dedicated leadership team. Henry Flynn brings over twenty eight years of experience in the hospitality industry. He has performed a diverse number of management services for companies on the East and West coasts. Specific expertise includes managing portfolios that consist of 50 rooms to 900 rooms for both franchise and independent hotels. Henry has extensive experience in acquisitions, new business development, asset management, financial analysis, sales and marketing, products repositioning of distress properties and financial forecasting and planning. 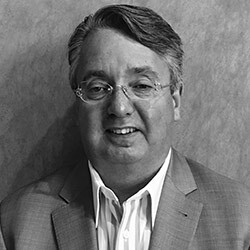 Prior to joining Miramar Hospitality back in 2004, Henry was the Vice President of a boutique hotel group, based in Northern California where he oversaw the operations of a portfolio of twelve hotels. He was successful in meeting financial goals set by the directors during an economic downturn, creating revenue-producing programs while minimizing expenses. His career began on the East Coast, where he held a number of property management positions, specializing in the hospitality and residential community markets in and around Boston. In each instance, he increased revenue for Ownership, while executing turn around programs to enhance the value of the assets. Alvin Cachaper serves as Vice President of Operations for Miramar Hospitality. With 25 years of experience in the hospitality industry, he proves valuable insight into hotel operations, sale and marketing, hotel systems administration, staff service training, revenue management, transitions and openings. Before joining Miramar Hospitality, Cachaper spent a total of fifteen years with Intercontinental Hotel Group. Prior to that, he worked as a General Manager at Radisson, and Director of Operations for both Sheraton and Westin Hotels. 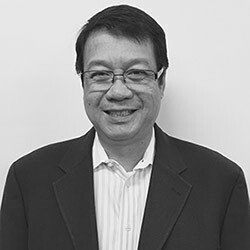 Francis Penalba has over 18 years in the hospitality industry, beginning his career with Hilton Hotel Corporation. He worked a variety of positions in both limited and full service hotels prior to joining Miramar Hospitality. Francis served as General Manager at the historic Powell Hotel in Downtown San Francisco for six years. During his tenure at the Powel Hotel, he significantly increased room revenue, occupancy and profit for the ownership. Francis was instrumental in overseeing the multi-million dollar acquisition and transition of the Powell Hotel. As Regional Director of Operations, Francis oversees 500 plus team members in the Room-Operations Division, which includes Front Office, Reservations, VIP Services, Concierge Services, Guest Relations, Valet Parking, Housekeeping, Internal Maintenance and Renovations. He also has a role in the Revenue Management department within Miramar and helps to shape the department for overall success. 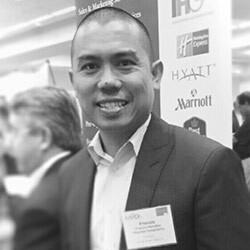 Prior to joining Miramar Hospitality, Francis also held key positions with Pacific Hotel Group in Santa Clara, California. He held leadership roles, including Front Office Manager, Assistant General Manager and General Manager. Francis is currently attending the Smeal College of Business at The Pennsylvania State University and a proud member of Penn State Blue and White Society and Penn State student advisory board. 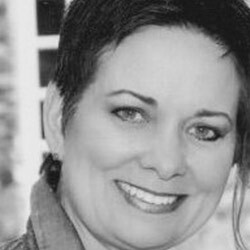 Wanda brings to Miramar Hospitality 27 years of hotel experience in Sales & Marketing . She has held senior level positions, and has built her reputation on leading each market she has worked in, by building REVPAR Index growth year-over-year. 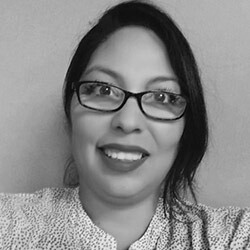 She immediately leads the on-site sales team by designing action steps focused on maximizing revenues, establishing corporate accounts, strategizing and implementing correct marketing tactics, putting steps in place for maximum optimization of all websites, and leads the team in revenue management. She excels at building effective sales teams and delivering unparalleled customer service. Her experience encompasses all Brand/Types of hotels. She had held Sales Manager and Director of Sales and Marketing positions with Best Western, Hilton, Hyatt, Radisson, Accor, Starwood, Benchmark Resorts & Hotels, Rosewood and 4 Star independent boutique hotels. Wanda was part of the pre-opening management team to open the new Westin Palo Alto, Rosewood Sand Hill and worked in rebranding the existing Maxims-de-Paris Hotel in Palm Springs, CA to the new Hyatt Suites.